Bay of Plenty Juniors, Seniors and Intermediate students from around the region scaled great heights at Rocktopia, Mount Maunganui, in the Secondary Schools Climbing, Bouldering and Clip and Climb Competition. 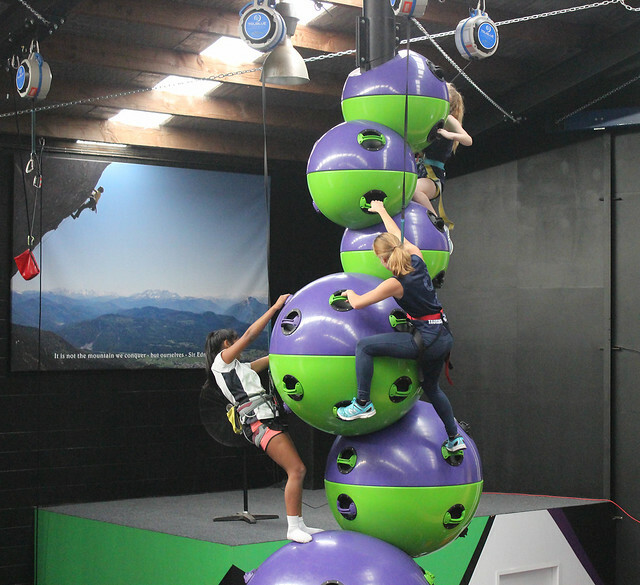 Each category put the students to the test: Clip and Climb was a mix of agility and speed, while Climbing required students to follow a set 'problem' up the walls of Rocktopia in order to gain points. Meanwhile Bouldering (without a lead) saw the students unleash their inner monkeys as they not only tried to scale the walls without touching the ground but also raced against the clock. It was an action-packed day, with mixed results in the individual and team categories. Congratulations to all those who took part and a big thank you to Rocktopia for hosting this event. If you would like to know more about Rocktopia and their social climbing nights, click here.